The following devices may be added to our system : video recorder, telemetry (DSI), physiologic signals analysis systems (Notocord), observation of several animals in real time. Up to 16 animals may be analyzed with one system, results easily transferred to a spreadsheet or statistical software. Remote software access, alarm triggering on abnormal animal behavior, option to record live video following or preceding an alarm (with Numeriscope). VigiePrimates may be used in : Animal facilities, behavioral analysis for large animals. The WCST "Wisconsin Card Sorting Test " is an easy way to analyze primates behavior cognition. 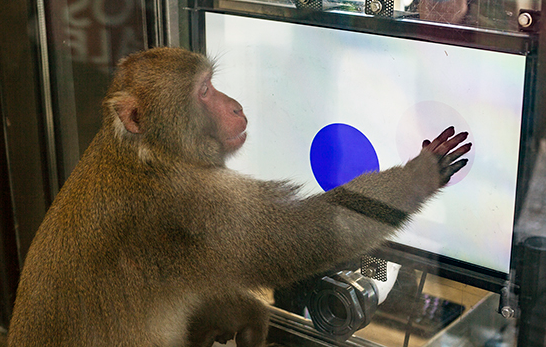 The primates are facing a touchscreen and have to choose between different shapes and colors. 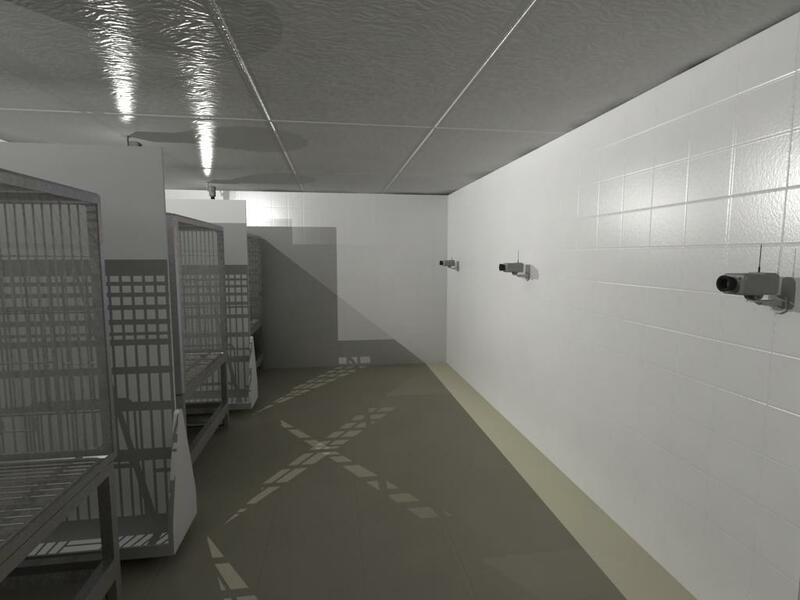 Developed in partnership with Imetronic, this test is designed to observe the learning and memory behavior of primates. Results can be easily transferred to your spreadsheet or statistical software. ViewPoint also developed in collaboration with Simi Motion Capture 3D. 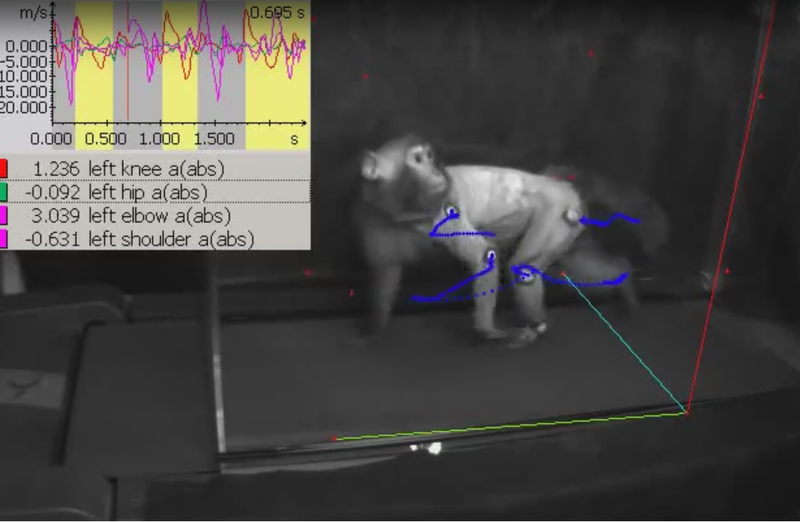 To conduct analysis, several high-speed cameras are required to collect the appropriate data for the 3D analysis of animal kinematics. The increased precision makes the analysis more exact and therefore much more suitable for scientific investigations. Visit our publication page here.